Michael “Mickey” Kantor is a partner at Mayer Brown in the D.C. and Los Angeles offices. 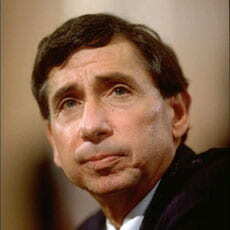 Prior to joining Mayer Brown, he served as the United States Secretary of Commerce from 1996-1997 and as United States Trade Representative from 1993-1996. While in office, he led the negotiations that created the World Trade Organization, North American Fair Trade Agreement and the Asia-Pacific Economic Cooperation Forum and was involved in the initial steps towards the Free Trade Area of the Americas. Under his leadership, the U.S. completed 200 trade agreements. The many awards and honors he has received include: the Order of the Southern Cross Award by the Government of Brazil, 2001, the William O. Douglas Award by the Constitutional Rights Foundation, the Thomas Jefferson Distinguished Public Service Medal from the Center for the Study of the Presidency, the Albert Schweitzer Leadership Award from the Hugh O’Brien Youth Foundation and Elihu Root Distinguished Lecturer, Council on Foreign Relations. He concentrates his practice on corporate and financial international transactions. He has extensive experience in market access issues, as well as the expansion of client activities in foreign markets through trade, direct investment, joint ventures, and strategic business alliances. He earned his law degree from Georgetown University Law Center and his B.A. from Vanderbilt University.